Enrich your soup menu with this special fish stew from our Buen Provecho section. 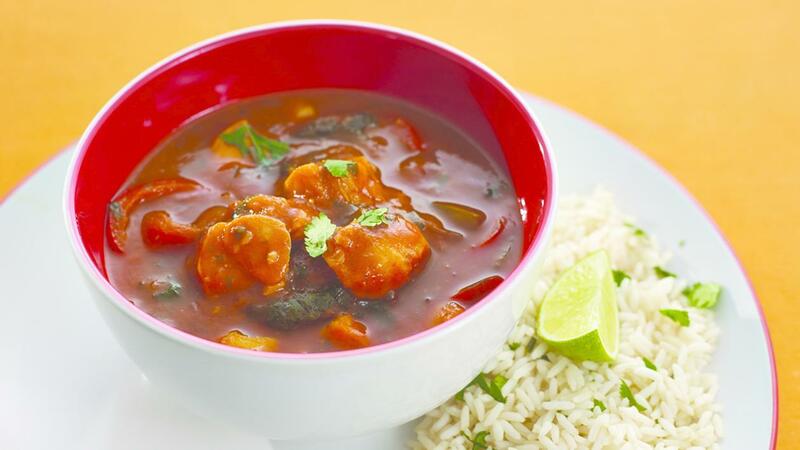 The tomato sauce gives the fish stew a rich taste and the coriander and the lime bring in some freshness. You can serve it with rice, potatoes or salad. Preheat an oven to 180ºC (375ºF) gas 5. Place a small amount of oil in the pan and fry off the onions, peppers and celery until soft. Add the KNORR Puree Chilli and Garlic and cook out for 3-4 min. Add the KNORR Concentrated Sauce and stir in well. Add the water and bring to a simmer and add the diced fish. Gently cook out the fish for 15-20 min. and then to finish the dish add the chopped coriander and lime juice and serve. Serve with a suitable portion of rice or potato, and a portion of salad or suitable vegetables.